Sherrod brings this same cultured approach to his law practice which he also applies to his extreme love for all things Cleveland and MMA (Mixed Martial Arts).. Prior to practicing law Sherrod was a music producer, managed combat sports athletes, and worked as a contractor with the Department of Defense. 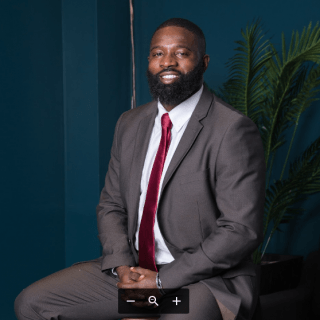 Since obtaining his Juris Doctorate, Sherrod has become more intentional than ever to be an advocate for clients in need of top quality legal assistance. For more information or to schedule a consultation please email sherrod@qcilaw.com or call 704-500-2045. Sherrod Seward was recognized for United Nations' 2018 Most Influential People of African Descent (MIPAD), Under 40, Global 100 List. IRC specializes in trade credit insurance, political risk Insurance and related trade finance solutions. Since our 1987 founding in Columbus, Ohio (USA), we have grown into the industry’s largest globally-integrated brokerage with partner-led offices in Hong Kong, China, Brazil, India and throughout the USA. We offer thorough market explorations and bespoke placements with unmatched post-placement training, service and claims advocacy. Our membership in the International Credit Brokers Alliance (ICBA) extends IRC’s network to Australia, Canada, Dubai, Japan, Mauritius, Mexico, Morocco, New Zealand, Singapore, South Africa, Taiwan, Vietnam and eighteen countries in continental Europe. On March 4, 2017, Partners Dinh Tran and Seward Seward will participate as panelist for Legal Night at Steele Creek. This panel will be hosted by local activist Andrew J. Fede and will take place at Steele Creek AME Zion Church located at 1500 Shopton Road, Charlotte, NC 28217. This event is free to the public and will discuss important topics surrounding changes made by the new Presidential administration. Join The Magellan Society and UNC Charlotte’s Office of International Programs for the opportunity to network and hear several early-career professionals discuss the international elements of their careers in law, education, not-for-profit and engineering. The panelists will speak about their experiences and offer valuable advice to those about to enter the job market and pursue work in international fields. On November 9, 2017, Queen City Immigration Law Partner Seward Seward will participate as a speaker for the Export Import Bank of the United State’s (“EXIM”) Export Essentials Symposium in Charlotte, North Carolina. Sherrod formally worked with one of the premier brokers of EXIM products in the world and is currently an authorized broker of EXIM credit insurance programs. Nominated for United Nations' 2018 Most Influential People of African Descent (MIPAD), Under 40, Global 100 List. In support of the International Decade for People of African Descent, proclaimed by United Nation's General Assembly resolution 68/237 and to be observed from 2015 to 2024, the Most Influential People of African Descent (MIPAD) identifies high achievers of African descent in public and private sectors from all around the world as a progressive network of relevant actors to join together in the spirit of recognition, justice and development of Africa, it's people on the continent and across it's Diaspora. For certain types of cases, some fees can be administered on a contingent basis.